Ramses II created this complex for Goddess Hathor and dedicated the temple to his favorite wife Nefertari. 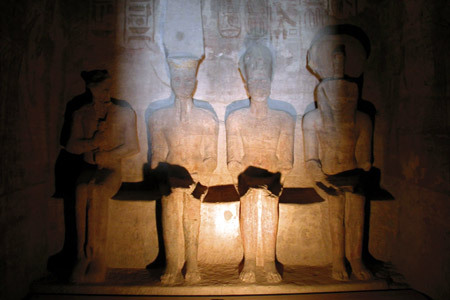 Even though the temple was for his wife, Ramses II still included himself in the building by adding four statues of himself. This temple is a definite exception to the rule of ancient Egypt; as women even queens were rarely given a funerary temple. 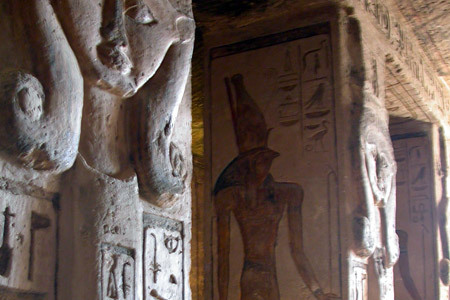 In the reception hall you will find bas-reliefs that show scenes of the coronation of Nefertari with Isis and Hathor. She receives a crown and a sun slice and is starting her journey to be within the circles of the Gods.